Meet Shannon or head coach here: Shannon! 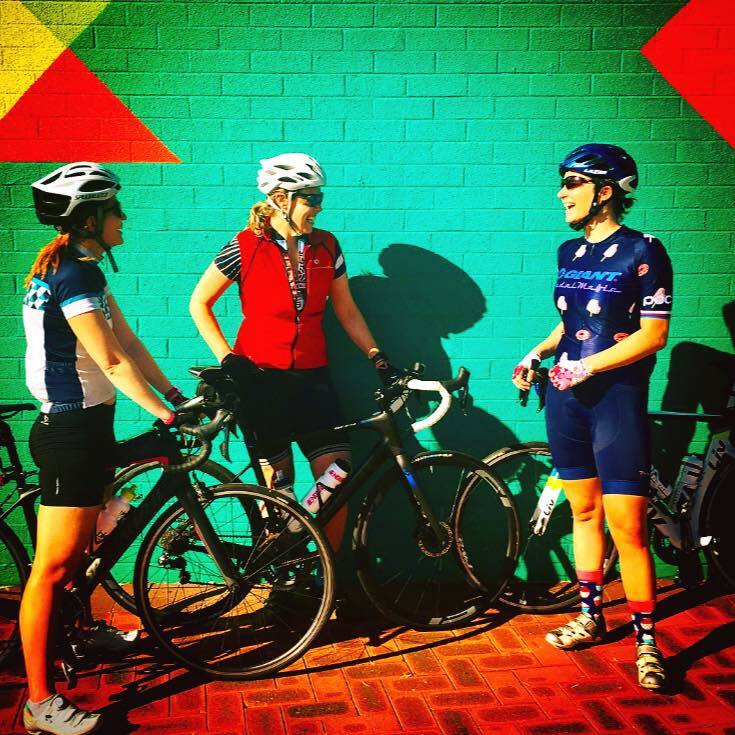 Our womens cycling program is underway and we invite women from all backgrounds to get involved. The program aims to improve fitness and confidence in cycling for women, and provide information and resources about cycling more often for health, recreation and commuting and how to get involved in local events. The program is not focused on racing. 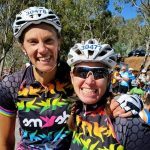 This program gives women access to qualified and experienced riders and coaches, who are all passionate about growing the numbers of female participation in cycling. Riders will be able to access all the best services on offer, including on road structured training in a safe environment, indoor cycling that is delivered according to a riders individual fitness in a small group environment (not an RPM or spin class but much more! ), discounts, advice, organised training rides and connecting with a network of riders in Perth that will help you stay motivated to ride more and more each week! Cleats are not compulsory. Lycra is not compulsory. What if I cannot attend all the sessions? Thats ok, we understand everyone is busy with work and family commitments. You can book your indoor session at any time to suit you. You can also talk to one of our helpful coaches who can help you with an alternative on road training session to complete in your own time. What if I am not very fast? Our interval training sessions on a Wednesday and Saturday are not speed based. They are structured so that everyone can complete the workout according to their current fitness levels. There are regroup points and a route published prior to the training session. The Wednesday group training session is structured so that everyone gets a workout and the training session is entirely conducted within Kings Park. Whilst we do our very best to ensure everyone maintains contact with the group, sometimes on the rare occasion it does happen due to the nature of the dynamics within group of cyclists. But we make sure we always meet for coffee! Will there be women faster than me? Simply, yes. There is always someone faster than the fastest person and this could be for a variety of reasons that are not related to an individuals ability or lack of. As our program is not based on speed, this should not matter in the instance of interval training (a stronger person will complete 5 compared to a newer rider who may complete 4). We also hope that through our program we will instil a level of confidence and reassurance in every rider so that speed should not matter. But I do not know how to use my gears? We will teach you! Part of our training is skills and technique based. So we will teach you the appropriate gear selection for particular terrain (hills or flats), environmental conditions (tailwind/headwind) and riding type (short and fast or long and steady). We can also advise on appropriate gear setup for your individual goals. I do not use cleats, can I still join? Yes of course. We would rather you join the program feeling comfortable rather than put yourself at risk with equipment that you are not accustomed too. We will also help you overcome your fear of cleats when you are ready. Cleats will benefit your riding and are well worth the effort. I haven’t ridden in a group before, is this ok? Yes, as our interval sessions are not “group rides”, but we will incorporate some group riding skills in our training session and we will introduce these elements to the training session gradually to ensure the safety of all riders. We have experienced coaches and riders to help you through all our longer group rides. Do I need to bring my own bike for the indoor session? No, you can book online with one of our stationary bikes. The workout is similar, and is personal preference and convenience. All pedals are provided. There are change facilities, but not showers. Street parking is available (at a cost between 8.00am and 6.00pm). I do not like riding in traffic or on the road? Many people are unsure of the safety of riding on the road. This is why our Wednesday ON Road Group Training is based in Kings Park in the early mornings. Although early, it provides a largely traffic free environment. Our Hills Ride does encounter more busier roads but again, the early start times means we avoid peak hour traffic. Our coaches and our training sessions will introduce you to some skills and knowledge to help you deal with traffic. All our training sessions obey the road rules and we intend to adhere to the WestCycle Code of Conduct for cyclists on the road. I am not a member of a club or BWA or Cycling Australia? 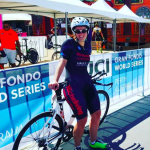 You do not need to be a member of a club to train with us, but we recommend you take out insurance with Cycling Australia to provide you with personal insurance cover whilst riding and training. Personal health insurance is also recommended. For information about membership and insurance please contact us (and will also be a subject of discussion at one of our informal social evenings). 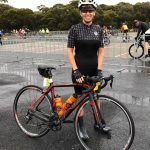 What if I do not have a road bike? You will be able to complete your indoor training at the Exercise Institute but we require all riders to have a road bike, due to your safety, enjoyment and others enjoyment on our rides. No! The age of our athletes ranges from 13 – 70 years of age! Our coaches are also accredited with a Working With Children Check. What if I need to leave a training session early? Thats ok, but please let your coach know so we don’t go looking for you. Our riders will need to be independent. That is know how to change a tyre or find someone to help you with it! For a flat tyre in Kings Park, the coach will be aware and you can rejoin the training at the next regroup point. For the Friday River Ride and Hills Training Ride, the group will stop to ensure you are ok, and then finish their ride. Where do you meet for training? Do I need to book in for all training? We ask that you book for the Wednesday and Saturday ON Road Training and your Indoor Sessions. This can be done via our online booking system. Riders are also welcome to access any other training sessions should they wish to take it up a notch! We have training on Tuesdays and Thursdays at either Kings Park or the Raffles, and a Wednesday competitive group from West Perth. Talk to one of our coaches about what might suit you. Coaches from the Exercise Institute will be responsible for the delivery of the program including Shannon Miraglia, & Brad Hall. You can also attend other training sessions at an additional cost with experienced and qualified coaches Mark Hedges, Marc Phillip and Luke Ellis. Through our system of coaches and experienced riders across all disciplines, you will gain access to a depth of information, advice and tips on how to further your cycling experience and improve your confidence. Registration and payment to be made online with 3 x $169 per month contract fee. Riders will also be asked to complete a confidential health and exercise screening questionnaire prior to the start of the program. This will help us gather important information about you. You can register now at this link. We will then provide you with a screening questionnaire to complete prior to the start of the program. Please contact us womencycling@bradhall.com.au to receive registration information.